Edition one of the ‘Heavenly Sounds’ series featured gorgeous Aussie trio Seeker Lover Keeper, with the recent second edition featuring local favourite Lisa Mitchell. Version three, hitting the pulpit next month, is a raging success thanks to ‘The Voice’ winner Karise Eden. And now comes the fourth incarnation. 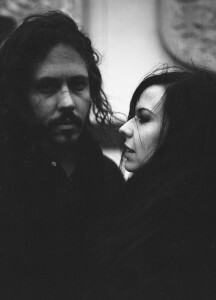 Acclaimed US duo The Civil Wars will tour Australia for the first time in March next year as part of the ‘Heavenly Sounds’ series. Since meeting four years ago, the twosome (Joy Williams and John Paul White) have amassed an army of supporters across the globe, especially at home, where they’ve had two Grammy Awards bestowed upon them. From Wednesday March 06, however, they’ll be delivering their celebrated blend of chamber folk and pop to the churches and cathedrals of Australia, kicking off with a date at St.Stephen’s Church in Macquarie Street, Sydney. They’re set to play dates in each of the five main centres, finishing up in Perth on March 15, before travelling to New Zealand for dates in Auckland and Wellington. Tickets for all dates are on sale on Friday October 05.